The sod has been turned for Satellite Ground Station East in Australia (SGS-E). Northrop Grumman Corporation (NYSE: NOC) Australia hosted the Hon Michael McCormack MP, Deputy Prime Minister, at Kapooka where they got out the shovels and turned over the dirt to commemorate the beginning of a new facility. 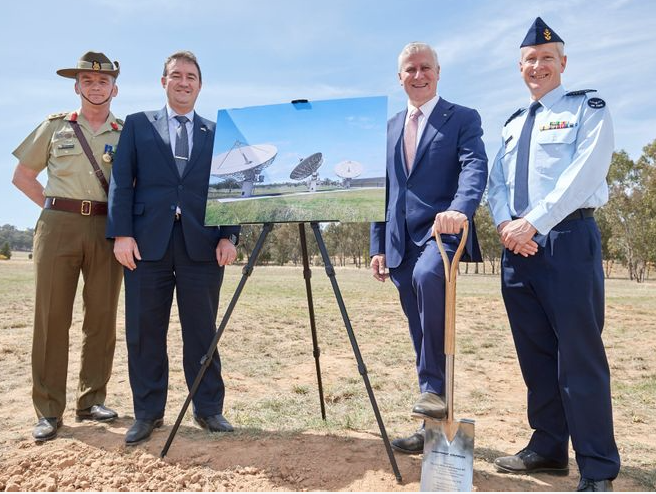 The facility will provide the ADF access to military communications satellites such as the Wideband Global SATCOM (WGS) constellation, which allows ADF personnel deployed across the Indo-Pacific region to connect to strategic information communications technology networks in Australia. Additionally, SGS-E will provide access to a range of commercial communications satellite services. The SGS-E will be a major component of the Australian Defence Force’s (ADF) future satellite communications (SATCOM) capability, delivered by Northrop Grumman Australia and Viasat under Joint Project (JP) 2008 Phase 5B2. Ian Irving, chief executive, Northrop Grumman Australia said that Northrop Grumman and Viasat will provide the ADF a comprehensive and proven solution for taking full advantage of Australia’s investment in the WGS communications system. Their solution will also provide the ADF the flexibility necessary to accommodate future needs.